Extremely compact and easy to use and manage. Our chillers are designed for safe and reliable operation in the most varied of working conditions, providing a precise and accurate control of the process fluid temperature. The availability of a wide range of accessories and options makes our water chillers a very flexible solution that fits the needs of all industrial applications. Thanks to a non-ferrous hydraulic circuit, the chiller ensures stable working conditions with maximum quality and cleanliness of the cooling fluid (water, water glycol mixture, low viscosity fluids), improving the efficiency and productivity of the process and greatly reducing maintenance costs and plant downtime. Each of our individual water chiller units are extensively tested to guarantee efficient operation and reliability in all working conditions. Our water chillers have been used for years in systems connected to hospital MRI and CT scanners, as FV coolers for breweries, also plastic injection, food manufacturing and the printing industry. runs dry. Therefore the customers investment is protected. Condenser filters reduce dirt, thereby preventing system downtime. maximum ambient temperatures up to 48 °C. The tropicalized units up to 53 °C. working conditions, improving productivity and decreasing maintenance costs. Don’t pay for parts you don’t need! ICE Refrigeration modify the water chillers to suit your unique situation. Unlike the majority of manufacturers, we don’t supply a chiller fully loaded with parts that you won’t actually require or ever use. Parts that you are ultimately going to pay for! For example a brewery using chillers as FV coolers have a totally different requirement to a print manufacturer who want to remove friction heat generated on the rollers. We take a different, more affordable approach, we treat many of the parts as optional extras. 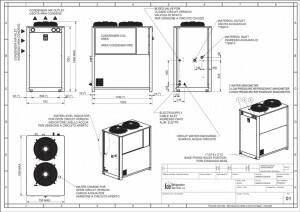 Before we provide a quote, one of our engineers will discuss with you at length what you have planned for the water chiller. This will make it crystal clear which parts are actually necessary and which will be redundant. We will then quote accordingly. 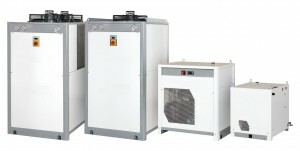 water chiller units and allow special management for any specific need. Completely configurable with many options and kits to fit many industrial applications needs. Full access and easy service design. 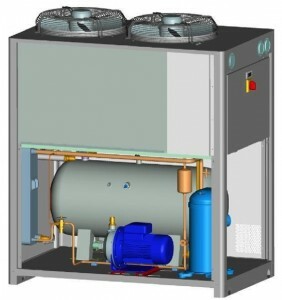 Large water tanks allow minimum compressor cycling and precise temperature control. 2 compressors or 4 compressors with automatic rotation. Double stand-by water pumps available. Maximum ambient temperature up to 45°C. Use of compliant scroll compressors. • Fully tailored service support.One off call outs or annual contract. Whatever suits. • Water/Glycol maintenance and treatment. 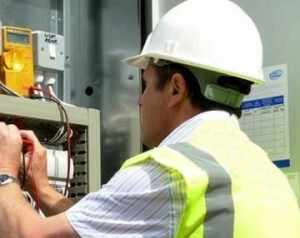 • Comprehensive report for each piece of equipment serviced. • Spare parts delivered within days – not weeks!